They call it the Obama Derangement Syndrome. It’s the irrational way Republicans in Congress refuse to agree with anything President Obama proposes even when he tries to give them exactly what they want. The most recent example is the President offering to cut entitlements as part of the ‘Grand Bargain’ he insists on trying to get. This entry was posted in Politics and tagged austerity, budget, Grand, John Boehner, President Barack Obama, sequester, Social Security on March 9, 2013 by Doug. What really drives me insane about the debt ceiling debate and discussions about cutting spending when the economy is in the tank is the politicians in DC ignoring the people who actually do economics as a job. 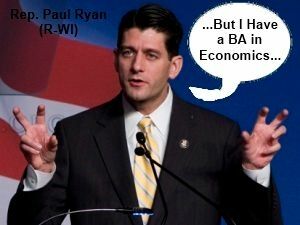 Paul Ryan’s budget, Obama’s grand bargain, and the final deal all ignore the economic facts. Recently a tea party Republican was schooled by the Congressional Budget Office and I think all cheap labor conservatives need to read the detail of the event. This entry was posted in Politics and tagged budget, cheap labor conservative, Congressional Budget Office, credit downgrade, debt ceiling, deficit, economics, Eric Cantor, Paul Ryan, Republicans, S&P, spending, stupidity, tea party, Tim Huelskamp on August 13, 2011 by Doug. 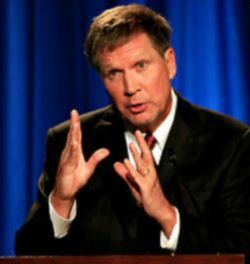 Governor John Kasich can be a pain in the behind because he is easily angered when diplomacy and tact is needed. I’m sure his supporters love that about him but for me it tends to make me think he’s unstable – like a mean drunk. 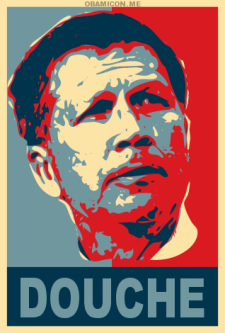 To do my part to help make Kasich a one term governor, I used a couple of clips of his recent budget signing gloat-fest to make some pro-Democratic party messages. Enjoy! 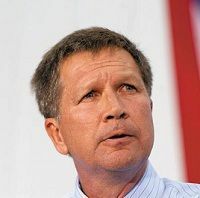 This entry was posted in Columbus, Media, Politics and tagged budget, budget cuts, business friendly, cheap labor conservative, Democrats, economic meltdown, GOP, Governor John Kasich, Republicans on July 3, 2011 by Doug.